It’s been almost a year since the final strip of Yehuda Moon & the Kickstand Cyclery was published as a webcomic. 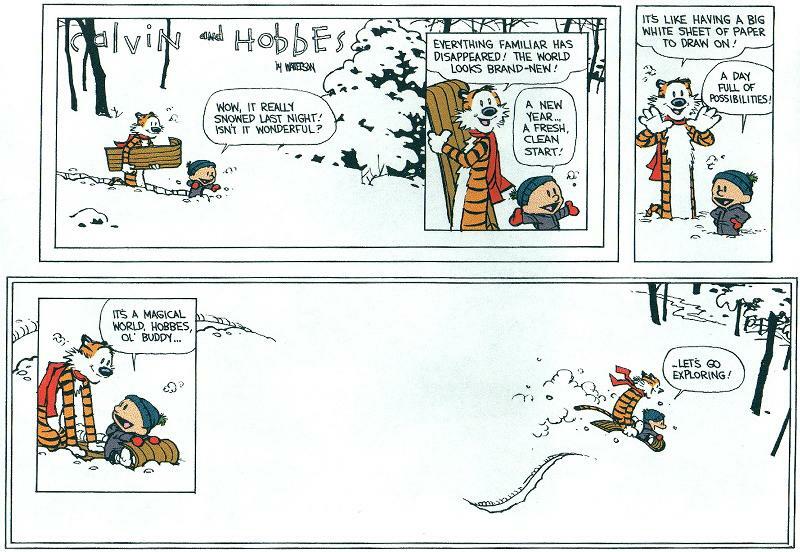 Unlike other popular strips, there was no epic closure, no promise of continued untold adventures like the all-the-feels finalé to Calvin and Hobbes. Cartoonist Rick Smith and then writing partner Brian Griggs ended the series mid-story, actually, at the very beginning of a new storyline wherein the often absent-minded titular character forgets about the alley-cat he organized. If you ride a bike – especially year round – there’s a good chance you’re familiar with the strip. Yet gauging from numerous people I know who’ve never heard of Yehuda, there’s an equally good chance you have five years of catching up to do. Yehuda Moon isn’t just a strip about people on bikes. It’s a damn fine comic, period. Smith found his greatest inspiration in the work of Harold Gray, Chester Gould, and Frank King, but admits, as all modern comic artists must, to having an adoration of Charles Schultz and Bill Watterson. Reading the entire series, it’s easy to see the influence of perhaps Garry Trudeau‘s Doonesbury as well. As a strip, Yehuda Moon is cycling comedy in all its jargon and minutia, centering around the perennial conflicts that bicyclists encounter with drivers and cars – and between themselves when differing bike cultures clash. Here there is much humor, (see: spandexers and scenesters attempt mingling). Numerous plots revolve around keeping The Kickstand financially afloat, too. As a character, Yehuda is unique yet relatable, falling into the Rivendell school of thought. He’s likely a card-carrying member of the Slow Bike Movement, pedaling a steel-framed Van Sweringen. Yet his guerrilla advocate hijinks more closely resemble the real-life tactical urbanist actions happening where citizens tired of unsafe streets start taking matters into their own hands. While the shop humor is light and accessible regardless of your wrenching ability, Yehuda is at its best when its characters tackle sociopathic motorists, self-righteous safety patrollers, and inept politicians. Here we find the writing’s razor wit, the humor ringing the truest. For all of Yehuda’s schemes for liberating motorists into bicyclists, he is often subdued by those who lack his style or conviction. Not every person is presented three-dimensionally here, but they needn’t be. There is ample character-driven narrative to render these actors with charm and emotional honesty. You almost forget bicycles are the constant undercurrent in their lives – as is likely true for the lives of any commuter or mechanic. Yehuda Moon and the rest of the characters occupy their panels cracking wise. Still, over the span of months and years, heavier stories emerge – some saddening, some uplifting, some downright paranormal. Like our own lives, not every conflict begins and ends in a week. Constantly, we are interrupted by the multi-faceted world in which we ride. With his comic, Smith created a similarly complete world, making it all the more difficult to watch the strip end abruptly. Maybe this gives the story just a bit more immortality. Who knows? Perhaps Rick Smith will make an eventual return to the drawing board, armed with fresh ideas along with time and funding to execute them. Enjoy the collection below illustrating some of the best qualities of the strip, its characters, and all the esoteric foibles of the bike world. Consider them a personal Top 40. If these interest you, there’s over a thousand more HERE. If you really like what you see, printed collections of the series are also available. To enlarge text, click your web browser’s View tab and select Zoom In. I do miss Yehuda Moon. The strip was so good. I hated to see it end. Indeed. Would love to see the creators have a hundred K a year to fulfill theirs/our dreams. I somehow never heard of it until today as I read your blog even though I’m a year round rider. Thanks! Heck yeah! That’s great to hear. Just sharing the love!